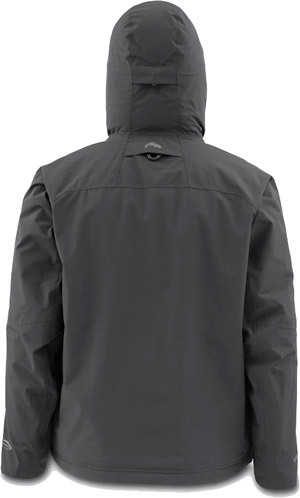 When Pacific Northwest days puddle into months of deluge, Simms’ Bulkley Jacket delivers fortress-like protection from washing-machine weather. Its waterproof, breathable GORE-TEX® shell conceals a cozy interior stoked by heat-generating Primaloft® Silver insulation. Roomy chest-oriented storage pockets house multiple large fly boxes. YKK® Aquaguard® VISLON® water-resistant zippers keep contents secure and dry. And adjustable, submersible Shingle Cuff™ construction in the sleeves eliminates line-catching points for snag-free casts. The AquaGuard® VISLON® zipper is a revolutionary new design from the global leader in containment closures. The AquaGuard® VISLON® zipper's new tooth design provides enhanced fluid repellency vs. coil or standard individual element closures, while increasing the number of design and color options for your application.